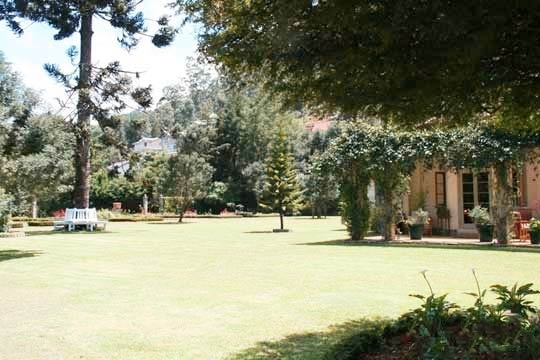 Situated at the northern end of Nuwara Eliya overlooking the century-old golf course and Single Tree Hill, Anilana Craigbank enjoys a wonderfully peaceful location. Set in a beautifully manicured child-friendly garden with preened lawns, multi-coloured roses and clipped hedges flourishing bright purple agapanthus, this fully-restored period property is more than 160 years old. On the sweeping veranda to the front of the property, potted petunias and marigolds scatter the tiled floor beside colonial armchairs topped with thick cushions. 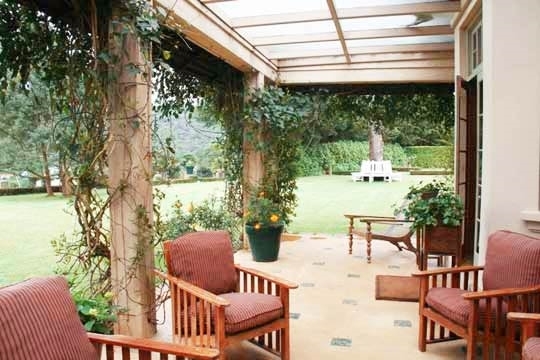 Enjoy afternoon tea from here as you admire the mountain views and relish the invigorating mountain climate of this unique hill country town. Inside this stately property - refurbished by a previous French owner to European standards of comfort - are four individually-designed bedrooms. 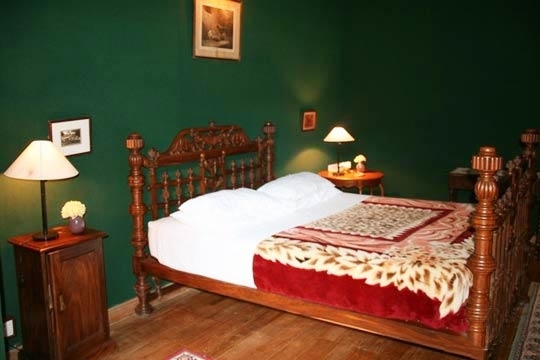 Each room features its own unique colour scheme, and fabric-covered walls come in hues of chocolate, burgundy, white and green. 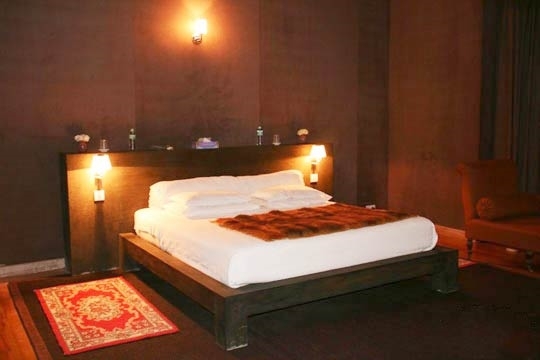 A sprinkling of fireplaces provide extra warmth in the bedrooms and lounge but also add to the property’s evocative colonial ambiance; Ceylonese prints, leather-bound books, brass candelabras and hunting memorabilia hark back to an earlier time in the island’s history when the British planters made this Hill Country town their home. Leisurely days spent hunting, fishing, golfing or at the races were followed by indulgent dinners featuring hearty home-grown cuisine and G&Ts beside a roaring log fire. Little has changed today; whilst the activities you might indulge in are slightly different to those of the past, at Anilana Craigbank you can still revel in the privileged life of a planter with all its luxurious comforts and perks! Each member staff is an expert in authentic hospitality and meals are cooked for you by the in-house chef. The climate of Nuwara Eliya is much cooler than most of Sri Lanka, which makes outdoor adventure particularly rewarding. Explore the town’s eccentricities on foot, escape into the cloudforest, drop into a tea factory or study the amazing range of fresh produce grown in and around the town by Nuwara Eliya’s small-scale farmers. 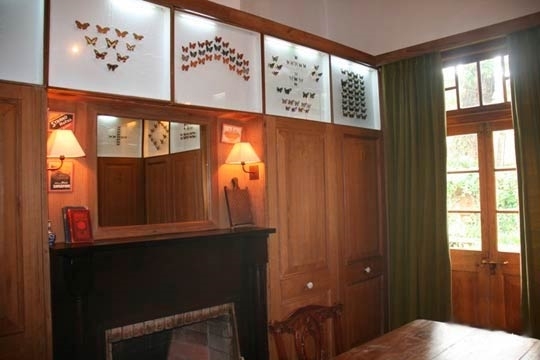 The natural hospitality of the staff adds to the charm of Anilana Craigbank. 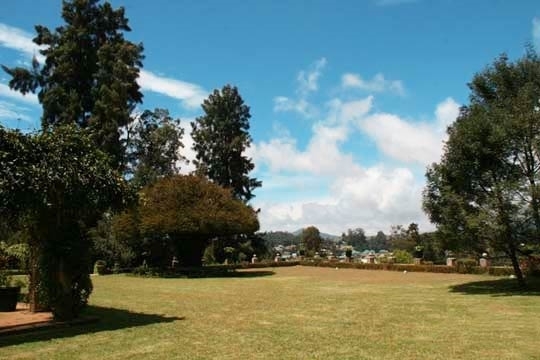 Anilana Craigbank is advantageously sited on a slight rise overlooking Nuwara Eliya, the town’s century-old golf course and the surrounding tree-flecked mountains. 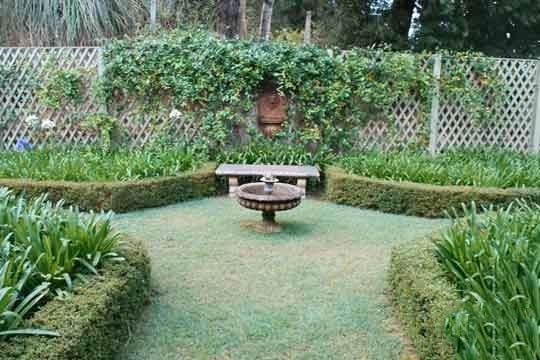 Set amongst residential homes and looking down over the lush herb and vegetable garden of the St Andrew’s Hotel, it is private and, despite the murmurs of traffic and schoolyards from town, also very peaceful. Looming up behind the house is Sri Lanka’s highest mountain – Pidurutalagala (2,555m) – whose slopes are enveloped by a misty cloud forest. Guests can explore this beautiful natural area on foot or sit back in the garden and watch the many visiting birds from the comfort of a cushioned armchair. 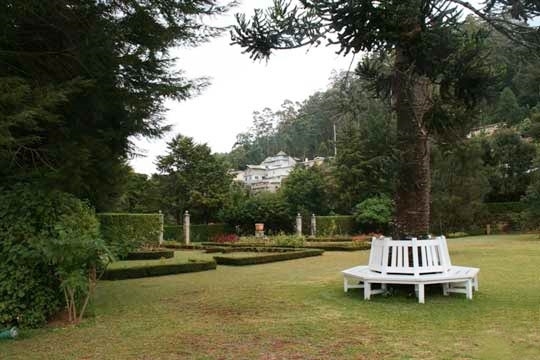 Nuwara Eliya town, famed for its alpine-style homes bordered by English country gardens and carefully moulded vegetable plots, is a five-minute walk down the hill.. 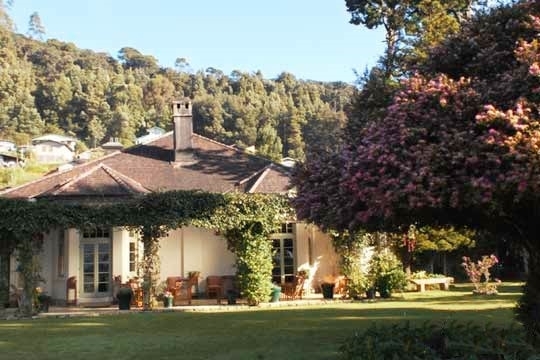 Entering Anilana Craigbank via its furnished front veranda, you arrive in the cosy drawing room where squashy sofas sit symmetrically in front of a large open fire. Books and interior design magazines are arranged in neat piles on the coffee table between the sofas, and interesting prints and photographs draw your attention to the soft fabric-covered walls, which are a feature throughout the property; each room is personalised by its own rich shade. 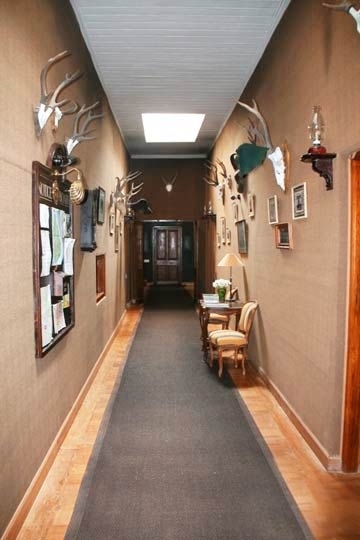 On the far side of the drawing room, a doorway leads to an L-shaped, olive-green gallery that exhibits old prints, photographs and hunting trophies. Directly across the hall from the drawing room, through matching high carved doors, is an elegant dining room where silver candelabra take pride of place atop a long teak dining table. 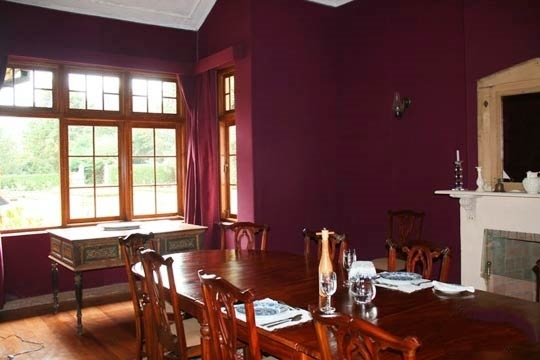 The walls blush a deep burgundy and a little serving hatch, still very much in use, provides a hint of nostalgia. The names of the four bedrooms were chosen to reflect the direction in which they face. First along the hallway is the dark chocolate-hued South room, the largest of the four. This has a walk-through dressing room lined with cupboards, a double bed, ensuite bathroom with bathtub and shower, and French windows leading onto the front veranda and side garden. 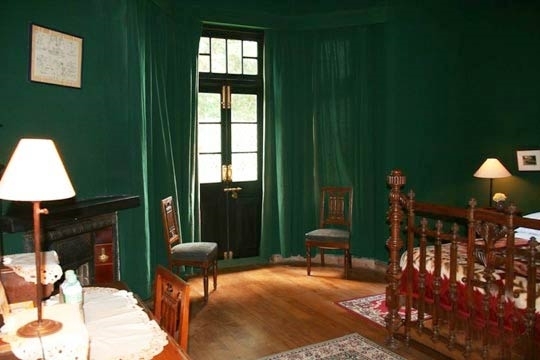 Next along is East; a moss-green accented bedroom with double bed, writing desk, doors opening onto the side garden and ensuite bathroom with tub and shower. 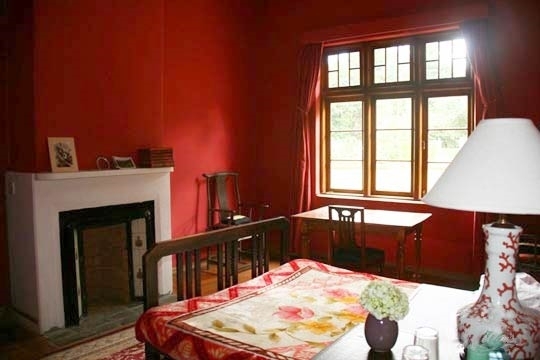 Opposite East is West, another double-bedded yet slightly smaller red-hued bedroom overlooking the front lawn. 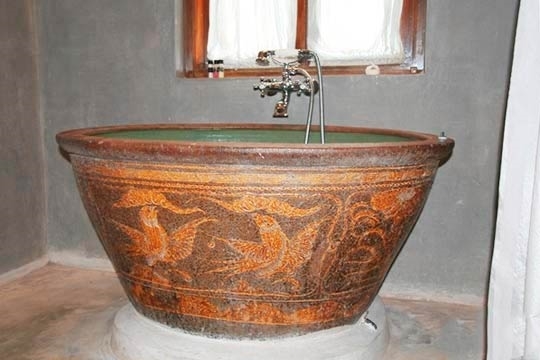 Its ensuite bathroom features an especially unusual round, ceramic antique bathtub as well as a shower. Just beyond the jungle mural at the far end of the hall is the final bedroom; North. Painted white, it also has a double bed and a large bathroom with twin basins, tub and shower. Next to this bedroom are the kitchen and laundry rooms. 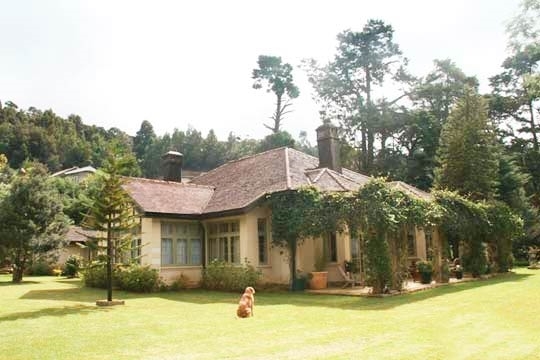 4 bedroom villa located in Nuwara Eliya, Hill Country. Ideal for Bring the relatives, Kid friendly, Going for golf, The great outdoors, Party pads, Sensible for seniors, Room with a view, Walk into town.